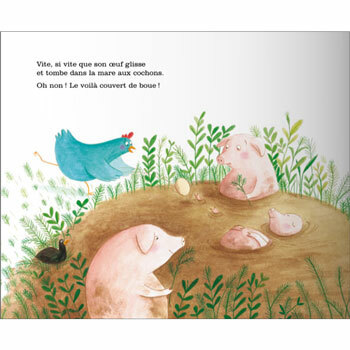 A French story to explain the origin of decorated Easter eggs. Poulette has just laid her very first egg! But on her way to the egg festival, she has multiple mishaps that stain her egg with mud, leaves, sand and petals. 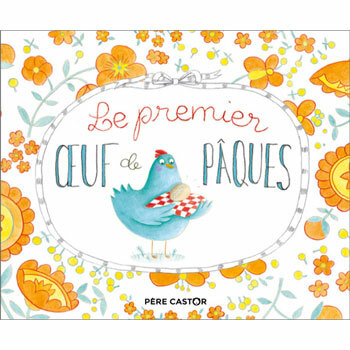 Against all odds, when she arrives at the festival, her egg is so well decorated that the vote is unanimous - Poulette's egg wins the show! And ever since that day, Easter eggs have been decorated. Le premier œuf de Pâques is written entirely in French and is intended for native French speakers.